Nevertheless, as far as I can tell, the new work is a genuine milestone in experimental QC, because it dispenses with most of the precompilation tricks that previous demonstrations of Shor’s algorithm used. “Precompilation tricks” are a fancier term for “cheating”: i.e., optimizing a quantum circuit in ways that would only make sense if you already assumed that 15 was, indeed, 3×5. So, what’s new is that a QC has now factored 15 “scalably”: that is, with much less cheating than before. I will not assign a nonzero probability to something like 3×5=7, for which there’s no explanatory theory telling me how it possibly could be true. That doesn’t mean that I’ll assign a zero probability — i.e., that I’ll accept a bet with infinite odds on anything that strikes me (perhaps mistakenly) as a logical or metaphysical impossibility. It just means that I’ll refuse to bet at all. It is still cheating to say they factored 15 "scalably", because the method does not scale up to larger numbers. In the make-believe quantum world, anything is possible. Everything is just probabilities. If it doesn't happen here, then it happens in some parallel universe. Scott admits that no one has demonstrated quantum computing, but he like to study, so he likes to believe it is possible. And even if it is not possible, it is a rewarding thing to study. And he cannot positively rule it out, just as he cannot rule out 3×5=7. Speaking of possibilities, it is possible that the elusive dark matter is black holes. Until the LIGO discovery, we only knew about star-sized black holes and giant million-star black holes. The star-sized ones show up as part of a binary star where the other star is visible. The big ones are at the nucleus of galaxies, and could be essential for galaxy formation. Common sense would indicate that there must be some intermediate sizes. The LIGO team claims they say 2 30-Sun black holes collide. This could be a freak event, or there could be billions of them scattered all over the place, and we would never notice. If the latter, they could be the dark matter whose gravity is essential to holding galaxies together. I posted some skepticism about LIGO, but we could soon have a lot more data to settle the question. Maybe another country with build a LIGO, and not build in the capability to fake results. Update: Sean M. Carroll responds to the possibility that LIGO discovered the missing dark matter. Skepticism is a wise choice when the claims are fantastical. The premise of LIGO is that space is compressed and stretched by ripples of gravity waves. My contention with the experiment is simply this: What are you actually measuring? I ask this because first of all, I do not believe space is 'compressing and stretching' due to anything, much less gravity waves, ripples, whatever. Compression and stretching are mechanical properties of matter, not empty spaces. For the sake of argument however, lets assume space could act like matter, somehow informing the shape of matter that is contained within it, presumably because the matter follows the shape of the space containing it (facepalm). Why would a laser beam be immune to this? If you are going to claim that space and everything in it distorts with the magic 'ripples', why would a laser beam be able to detect it? The premise at LIGO is that while space and matter are bending together, tap dancing, etc. 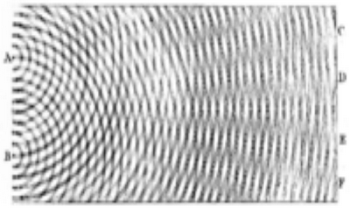 the laser is being true to absolute Euclidean flat space (or something flat relative to the distortion taking place, otherwise how would it detect a relative difference? ), and giving a clear meter of what is changing. 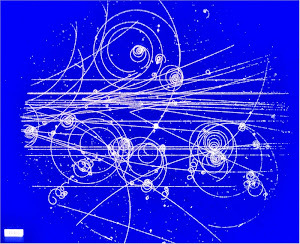 If I Pretend to believe you can screen out all vibrations on the surface of the Earth but for events over a billion light years away to a width less than a proton(facepalm), I'd like to know how the photons are now ignoring the curvature/ripples of space, being that the same physics people who like to crow about gravitationally lensing light around stars (considerably less gravitationally speaking than ultra-massive-super-mega-BigAss black holes) are also claiming lasers somehow shine straight through gravitationally rippled space/space time/whatever. If space was actually distorting, would not the light warp along with it? If the premise is space can inform the shape of matter (facepalm), why would light be excluded from this magical warping process when this would appear at odds with most other space warping theories that claim that it is distorted by gravity? According to GR light speed depends on gravitational potential P: c=c0(1+P/c0^2). The potential P is changed by the gravity wave but also the speed of light is changed. Wouldn't these two effects compensate in the arm of LIGO interferometer? I think assuming space has material properties like matter, and assuming gravity is curved space are the primary problems that must be addressed first. Einstein was intentionally trying to evade having to account for an actual gravity mechanism, he did not want to have to accept the absurdity of spooky action at a distance, which Newton clearly stated he did not have an explanation for. However, saying the geometry is the curve is just linguistical manipulation relying on the fallacy of hypostatization, not actual mechanics, as math can not carry a force, nor can curved geometric lines, it's just a tautology. It is sad that few tough questions are being asked about relativity today, when the person who is given primary recognition for developing it admitted it had problems and wasn't finished. It looks like the Monz et. al. paper has some detractors in China.